OTTAWA, May 1, 2014 /CNW/ - For just the second time in history, a forestry company has become a member of the Canadian Council for Aboriginal Business (CCAB). Thanks in part to a strategic partnership formed between the Sustainable Forestry Initiative®, Inc. (SFI) and CCAB. As Western Canada's largest private timber and land-management company, TimberWest is proud to continue its commitment to forming valuable partnerships with Aboriginal business and communities. "Through the signing of a Memorandum of Understanding (MOU), SFI has leveraged CCAB's Progressive Aboriginal Relations (PAR) verification program to help interested SFI Program Participants to raise the bar in their strategic relationships with Aboriginal communities," said Kathy Abusow, President and CEO of SFI Inc. "Both SFI and CCAB are committed to sustainable forestry and Aboriginal involvement in the forestry sector." "Progressive companies such as TimberWest clearly see the opportunity and understanding that comes from partnerships with organizations such as the CCAB. We are proud to welcome an important forestry player in B.C. to our membership," said JP Gladu, President and Chief Executive Officer of CCAB. "We look forward to their continued leadership working with Aboriginal business and communities toward improvement in sustainable forestry that supports building a healthy and prosperous future for our people." "This MOU provides us with a fantastic opportunity to work together with the CCAB to offer a brighter future for Aboriginal communities," said Brian Frank, President and Chief Executive Officer of TimberWest. "With the rapidly growing Aboriginal workforce in B.C., we look forward to strong business opportunities and sustainable relationships with the Aboriginal community." TimberWest recently celebrated its 20th year in sustainable forest land management. TimberWest owns approximately 325,400 hectares of private managed forest land on Vancouver Island and is committed to Vancouver Island communities. SFI Inc. is an independent, nonprofit organization that is solely responsible for maintaining, overseeing and improving the internationally recognized Sustainable Forestry Initiative® (SFI®) program. Across Canada and the United States, more than 100 million hectares are certified to the SFI forest management standard. In addition, the SFI program's unique fibre sourcing requirements promote responsible forest management on all suppliers' lands. SFI chain-of-custody (COC) certification tracks the percentage of fibre from certified forests, certified sourcing and post-consumer recycled content. SFI on-product labels identify both certified sourcing and COC claims to help consumers make responsible purchasing decisions. SFI Inc. is governed by a three-chamber board of directors representing environmental, social and economic sectors equally. Learn more at sfiprogram.org/ and sfiprogram.org/Buy-SFI/. The Canadian Council for Aboriginal Business (CCAB) was founded in 1984 by a small group of visionary business and community leaders led by Murray Koffler. 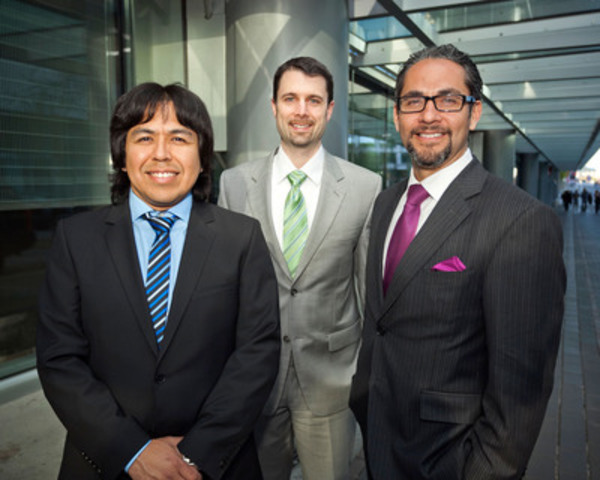 CCAB is committed to the full participation of Aboriginal people in Canada's economy. A national non-profit organization, CCAB offers knowledge, resources, and programs to both mainstream and Aboriginal owned companies that foster economic opportunities for Aboriginal people and businesses across Canada. Learn more at ccab.com.